RedFin Charters can customize charter packages for groups of up to 80 people. We specialize in creating memorable fishing tournaments for large groups such as corporate executive retreats, team-building for sale's teams, bachelor or bachelorette parties and family reunions. We can also work with groups on creating non-fishing charter events to explore Charleston's waterways. 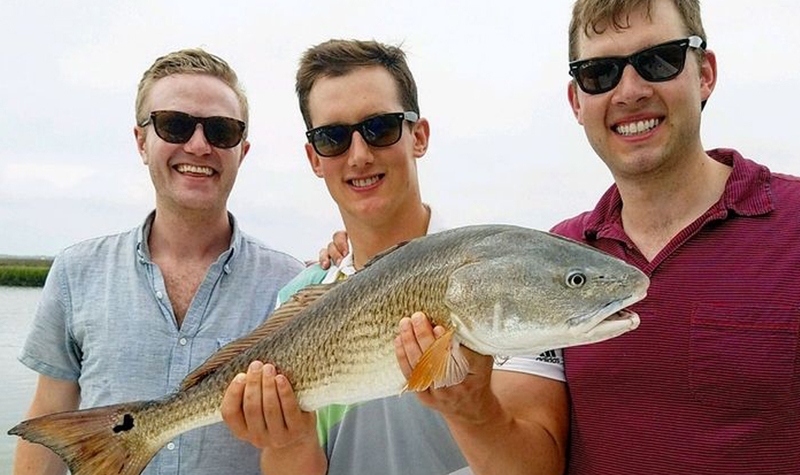 RedFin Charters is happy to put together anywhere from a 2-boat trip to a 20-boat trip that are fully coordinated for an amazing inshore fishing tournament. With our tournament package, each one of our boats are stocked with an ice-down cooler for drinks and ice cold lemon towelettes for hot and humid Charleston summers. All of our boats have humidors filled with hand-rolled imported cigars. We even have a trophy for the biggest fish, a funny prize for the worst fisherman, and awesome RedFin Charter gear you can't get anywhere else as additional prizes. All boats will be ready to pull out upon your arrival at Bristol Marina or another designated departure point. We can fish 4, 6 or 8 hours and meet back at the same location at the end of the event. RedFin Charters can also coordinate to have your catch cooked at a creekside restaurant where all the boats can meet at the end of a half day charter or in the middle of a full day outing. Give us a ring and let us customize an inshore fishing tournament for your special occasion.